Most people are aware, to some degree, of what a paralegal does. 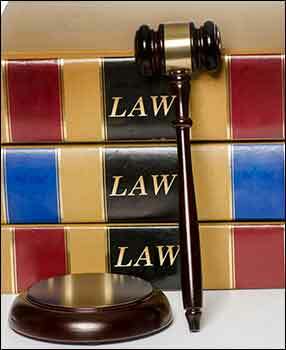 They are legal professionals who work in law firms and assist attorneys with day to day legal tasks. However, many people are unaware that there are actually many different types of paralegals. Just as lawyers can specialize in certain areas of the law, a paralegal can focus on a single discipline as well. One such legal field you could work in as a paralegal is bankruptcy law. Bankruptcy paralegals will work to help their clients navigate the often complex bankruptcy law system so that they can restore their financial standing. What Does a Bankruptcy Paralegal Do? One of the primary tasks of a paralegal is to write legal documents. The majority of your time as a bankruptcy paralegal will be spent writing claims and gathering any documents that your clients will need to successfully declare bankruptcy. It is also possible you will need to perform forensic research on your client’s accounts to make sure that they are eligible to declare bankruptcy and that the attorney handling the case will be aware of all the facts. A successful bankruptcy paralegal will have a full understanding of both federal and state bankruptcy laws, which can be substantially different. While most paralegals will learn the basics of bankruptcy law during their degree, you can also receive on the job training. Bankruptcy paralegals can work for both individual clients and businesses, making this a very intensive profession. If you’re interested in becoming a bankruptcy paralegal, you will need to first complete a paralegal education. For those who wish to start their careers as soon as possible, earning a paralegal certificate is the usual course. However, for improved chances at being hired by a top law firm, you should earn either an associate’s or bachelor’s degree from an American Bar Association (ABA) program. Whatever educational path that you choose, you should make sure that you take classes focused on bankruptcy and bankruptcy laws. Receiving prior instruction on the complexities of bankruptcy will prepare you for a job in this field and will make it easier for you to be hired by a law firm. As with most professions, the salary that you will receive while working as a bankruptcy paralegal will largely depend on which state you live in and what law firm you are employed by. However, you can get a general idea of your possible salary by examining the most recent data provided by the Bureau of Labor Statistics. According to the BLS, the median annual pay for a paralegal in 2015 was $48,810. The paralegal profession is expected to experience 8% growth during the ten-year period between 2014 and 2024, which will result in over 20,000 new paralegal positions. Because a bankruptcy lawyer will work in a more specialized field than a general paralegal, your pay can be very different than the national average. If you’re interested in a specialized legal field that provides easy job access and competitive pay, you should consider becoming a bankruptcy paralegal. Because bankruptcy laws are so complicated, and declaring bankruptcy can be an expensive process, bankruptcy paralegals are in high demand from both clients and law firms.